North Union shortstop Madison Amstutz catches a pop fly during a 2018 game. The Lady Cats, just like most of North Union’s sports teams, have joined the Central Buckeye Conference after more than 20 years in the Mid-Ohio Athletic Conference. NU’s football team will join the CBC in 2019. The 2018 fall sports season has begun for local high schools with several golf matches already having been played. Tennis matches will soon follow, with volleyball, soccer, cross country and football also on the horizon. The 2018-19 academic year will bring about a conference change for another local school district. North Union has joined the Central Buckeye Conference this year in every sport with the exception of football. The Wildcat gridiron squad will enter the CBC in 2019, after it completes its Mid-Ohio Athletic Conference obligations this fall. This is the same route that Fairbanks traveled when it left the MOAC and joined the Ohio Heritage Conference. The football team remained in the MOAC for an additional year to complete its slate, while the other Panther squads had already joined the OHC. North Union is leaving the MOAC after a more-than-two-decade stay. NU was a charter member of the circuit in the early 1990s, joining schools from Marion and Morrow counties, plus Big Walnut. The Wildcats’ program is the third from the local area to leave the MOAC. Jonathan Alder was also a Mid-Ohio Athletic Conference affiliate for a few years, before joining the CBC last year. The MOAC began to change a few years ago. Elgin, another charter member, left for the Northwest Central Conference, of which Fairbanks used to be a member. The Morrow County schools of Highland, Cardington, Mt. Gilead and Northmor are also gone from the MOAC. It will be interesting to see how well Wildcat squads will compete in the CBC. One program that I think will remain very strong is the Lady Cat softball program. It never mattered what conference in which NU resided (the Central Buckeye League or the MOAC) since the birth of the Lady Cat program 40 years ago. North Union has always been very strong in softball and for many years, the MOAC divisional crown found its home in Richwood by season’s end. Capturing a conference softball title wasn’t something the Lady Cats hoped to accomplish… it was expected. District championships were also treated the same way. Another conference title will be on the Lady Cats’ radar next spring, only this time they will have to do so in a new league. 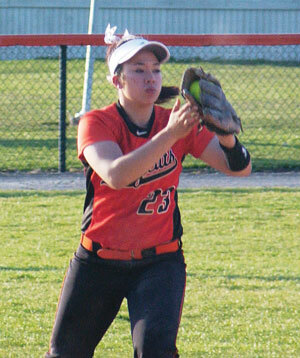 There are some strong softball programs in the CBC, namely Jonathan Alder and Kenton Ridge. The addition of North Union will only make the circuit’s softball that much better.